The ability to schedule reports is available on the Premium plan. See prices and upgrade on your Subscription page. 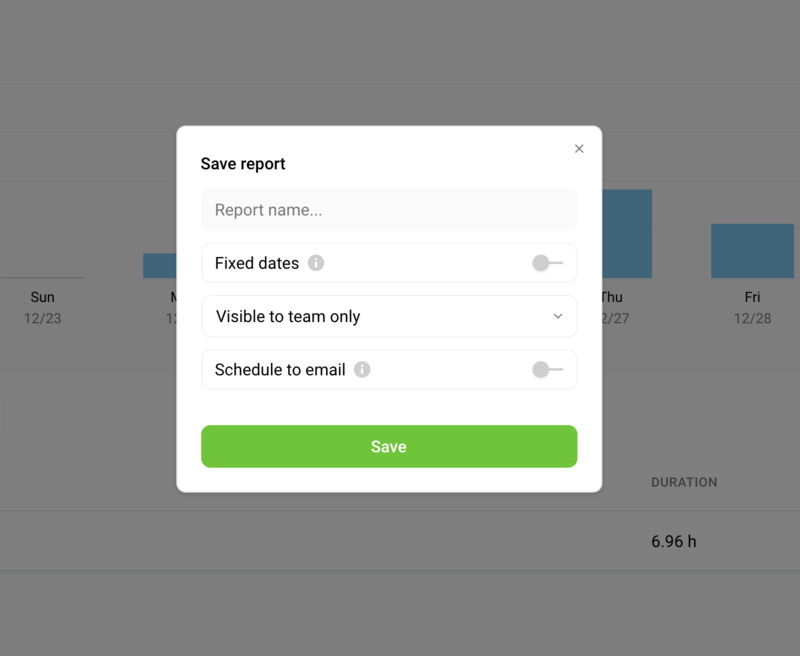 You can schedule any report that you save. The Saved Report will appear in the list as usual, with its own unique URL to be viewed on the web. Additionally, a text version of its contents will be sent to the team members’ emails that you specified at your selected frequency. 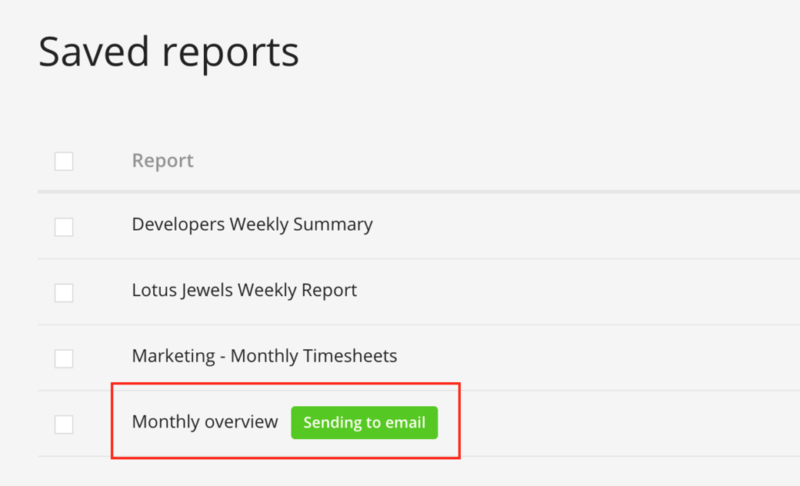 Click the "Save" icon in any report you’ve generated. Turn ‘Schedule to email’ on from the popup. Select how frequently you need it (daily, weekly or monthly) and whom you want to send it to. Regular users can only send it to themselves, workspace admins can choose from the whole team. When a report has been scheduled, it will be shown on the Saved Reports page. Hovering over the green label will tell you whom it will be emailed to and how frequently. A text-only version of the report you scheduled will be sent to each recipient’s email address either the next day, on the first day of the new week, or the first day of the new month. The email will also have a direct link to the saved report where the report can be downloaded as a PDF (with charts), XLS or CSV file. When the date range is left open, each recipient can browse the dates on the web as they do normally when they open a saved report.